Over the course of the last two and a half decades, Ubisoft has grown from a meager distributor finding its footing in the gray market to a publishing powerhouse responsible for some of the most popular franchises in video games. In celebration of its 25th anniversary, we spoke with its key power brokers about the triumphs and challenges it has encountered along the way to becoming the third biggest interactive entertainment publisher in the world. Growing up in a small village in the northwestern French province of Brittany, the five Guillemot brothers are exposed to business at an early age by their parents, who own a farming company. Each year, the brothers are expected to pitch in with the family business, rotating between various jobs like delivery, shipping, and accounting. After attending university and getting the entrepreneurial bug, the brothers decide to rejoin the family business and diversify its approach. Yves Guillemot: We were working with farmers so the margins were very tight. The business my parents had was actually declining and so we had to find new businesses, so my older brother Claude started with CD audio. That was a new revolution. Then they started to sell computers to farmers. After that they created a shop that sold all sorts of things for farmers on top of normal chemicals and parts. In this shop we started to sell video games because they were part of the things that could be supplied. We had 20 machines in stock and probably 100 copies of software. When he went to the U.K., my brother Claude realized that he was buying from his [French] supplier at two times the cost it was sold in the U.K. to the public. So that’s where he said, “Maybe there’s a business here.” It was just at the beginning of the Amstrad [a popular European gaming PC – ed. ], and so in 1984 we started a mail-order company. Cecile Cornet: I know that when they started to think about the business their mother was helping with the accounts and she said to her sons, “Do your business, but there is one condition – do it together and with equal shares.” I think her advice was very important for them. Christine Burgess-Quémard: It was really the beginning. The quality of the games was so different than what we can see now. I’m not sure people can imagine if they haven’t lived through that – what a game looked like in those days. It was being led by the U.K., but there were starting to be a few publishers in France, as well. That was the time of Infogrames and a few more. CBQ: We had a few bunches of kids who came along who were working at their desk or their bedroom or in their garage on some game ideas. They came and presented the games to us, and we decided to take the risk and see where it would lead us. Rather than recruit developers to their Paris office with the rest of the operations, the Guillemot brothers decided to lure them with the promise of working in a unique environment – a gorgeous chateau in Brittany. Led by brothers Gérard and Michel Guillemot, here a small group of developers started working on the first internal Ubisoft projects. CBQ: This was very much a marketing thing really, and we also thought it would be great to have a place where we could actually lock all of our developers together so that they could develop games and finish them. It was not always easy when you have a bunch of 18- or 19-year olds to realize that when you start a game and you start talking to the press about it and you start investing into it, you have to deliver. So the first aim was to make sure that everybody was under the same roof so we could have everybody contained in a way. Michel Ancel: I was around 14 or 15 when I started to program. It was 1987 or '88, and a lot of people were talking about the ozone layer problem in the stratosphere, so I did a funny animation with the molecules of the ozone and the oxygen, and you had the bad CFC bullying and breaking the oxygen. It was like a short animated movie. I sent this project to Ubisoft because they were doing a contest in a magazine that would let you win a computer. I won nothing, but I got a phone call from Ubisoft. I was surprised because the magazine was not directly connected to Ubisoft. They asked me to come to Paris. I was quite young. I took the train alone from Montpellier to Paris. Their office was in a suburb of Paris – a lot of graffiti tagging and dirt – I got lost in the subway. It was horrible. I don’t understand how my parents let me go alone [Laughs]. Since I was eight or nine my parents let me do whatever I wanted. This is good and bad [Laughs]. I found the Ubisoft office after hours and hours of looking. It was a small apartment with a lot of people speaking different languages. I was really impressed. I arrived, and spoke with Christine. It was about 6 o’clock in the afternoon and the amazing thing was after a while she received a phone call from someone in Brittany, which is like 300 or 400 kilometers to the west, and they asked me to go there. I took the train and arrived in the total countryside with cows and farmers, and there was a nice taxi – a kind of limousine – waiting for me at the train station. It was like in a movie. Then, after an hour in the countryside, we arrived at a castle. I didn’t really know what they wanted me to do because all I did was send my ozone project. Here I met one of the Guillemot brothers – Gérard. While I was doing that ozone animation I was making games too – programming, doing the animation, the graphics, the music. I was really making games for my friends. The game I showed them [Brain Blaster] is now on the Internet – I found it because there are guys trying to preserve old games with emulators. So Gérard wanted me to finish that game for them. It took me about six months to finish the game, which I did at home, and they did a surprising thing and sent me the first Game Boy in France. Before it was released officially, they sent me the console. Because the game was a mix of action and puzzle genres, they wanted me to think about something for the Game Boy. I then had to figure out how the console worked, which was very interesting because it was like being introduced to the Japanese culture of making games really early – 60 frames per second, looking at Mario, etc. But I didn’t have the development kit, so I moved to Brittany with my family and that’s when I started to work on the Game Boy. I did some work on the Star Wars adaptation. We also had the Super Nintendo development kit and tried to think about game concepts. It was really the beginning of Ubisoft as a developer. They were trying to be really close to Nintendo and Sega. In some ways it was quite surprising because most of the developers were developing for the Amiga or Apple. YG: We couldn’t keep the castle for more than 18 months or two years because it was too complex. It was difficult to heat during the winter. We had one guy whose cost to heat his room was $1,000 per month. So we said okay, maybe we should come back to something more conventional. Abandoning the chateau in Brittany, Ubisoft concentrated its development talent back in the Paris metro area. Not everyone was happy with the relocation. 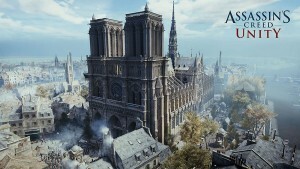 Michel Ancel: I was not really comfortable in Paris. My family was not able to move there because it was very expensive. I was really young, and I had nobody. If you move to Paris without money it’s horrible because you are in a bad apartment, and you don’t have money so you can’t go to the good part of the city, so you’re just walking. I decided to leave because at the same time it was really the beginning, and Ubisoft didn’t exactly know what to do. It was their first experience managing a developer, and for them it was quite complex to organize, and we were really few – we had like five [developers]. I went back to Montpellier after half of a year. At this point it was the beginning of 3D, so I was doing some 3D art and things like that, but it was not my real passion. I really wanted to make games, so I started working on Rayman in 2D doing animations and the character controls. Yves Guillemot: When he went to Montpellier we said okay, if you have something good that you create, come to us and we’ll help you. MA: The cool thing about Ubisoft is if you go, you can come back. I’ve seen other people leaving and returning. I think it’s a good part of the company culture – the feeling that you can live your own experience and come back if your ideas are still good. Serge Hascoet: I don’t have a good memory, but this I remember well. We had a meeting with Gérard Guillemot, Yves Guillemot, Michel Guillemot, and myself, plus Michel Ancel and Frédéric Houde – the two who created the [Rayman] concept. It was a picture of a big, giant trombone and you had to imagine the player inside. It was a totally strange design, and I felt that it could be a cool place to play with the wind and all that kind of stuff. Michel had already worked on the animation system alone in his corner for six or so months, and the fluidity of the animation was great. Nothing else was close to that in the industry at that time. We liked it, but it was not a game yet – it was R&D – but I liked it. I said to Yves, Gérard, and Michel that we have to do this game. MA: There was one very important person at Ubisoft – he’s now the CEO of Gameloft – Michel Guillemot. He’s an incredible guy who works in the shadows, and he’s a visionary. He really understands how to make games internally and he created the model to get all these young developers on track. He understood what they wanted to do and helped make them more professional. When we worked on Rayman I was quite young, but he gave us a lot of responsibility to design and create. We were supposed to do the game on the Super Nintendo CD system, which never came out. We spent some time working on the title but it took so long. Then Michel [Guillemot] took the project and said, “If you want to do this project, we need to bring in a lot of people and a lot of money. We’re going to need to organize the project.” That’s when everything changed. YG: Michel, who is a very organized and structured guy, said okay, we are going to do a big part of the work in Paris. Everything that we can automatize will be done in Paris and all the artistic stuff will be done in Montpellier. So we had the best animators, we had lots of very highly talented people here taking the data from Michel and making sure they could fit in the level of quality and depth that the market needed at that time. YG: We wanted to create a game that came out with the PSX. That was really on purpose – to come with a new machine – because we knew that to beat Japan on platforming games we had no chance but to come on a new machine quicker than them. YG: There were only nine games available on the PSX when we shipped Rayman in 1995, so customers didn’t have much choice but to try this one. The press had to test this one, so they could really look at the depths of the game and the quality. [If we had shipped it] one year later, it wouldn’t have been as big a success, because there would have been too many games. The sales at first were very good per country, but the game was expensive because we wanted to do better than the Japanese. It took us probably 18 months before the game was profitable, but it continued, continued, continued, and became immensely profitable with time. Christine Burgess-Quémard: We all felt that Ubisoft became recognized when we launched Rayman. That was first game that really mattered and made us a publisher. In the ensuing years, Rayman, Rayman 2: The Great Escape, and Rayman 3: Hoodlum Havoc combined to sell over 20 million copies, making Michel Ancel’s creation the first legitimate hit series in Ubisoft history. The success empowered the company to go public in 1996 to raise more capital for its internal development endeavors. The IPO raised $80 million in cash, which Ubisoft leveraged in expanding its worldwide footprint, opening up branches in China, Canada, Spain, Italy, and Morocco. With new studios up and running, the publisher needed new intellectual properties that appealed more to North American sensibilities to broaden its penetration in the burgeoning market. Yves Guillemot: We were opening all these studios in Montreal and China – and one in Japan to make sure that we could get the dev kits at the same time as the Japanese because Europeans and Americans always had a six-month delay. So we had a few studios, but afterward it was extremely difficult to grow, because it was difficult to create new brands each time. When [other publishers] have been there for four or five years and they’re well trained and they have brands, it’s more difficult [to break into the market]. Alain Corre: We were known in France, in Europe, less in America, because we didn’t have an American-centric franchise. So we had to find a way to get into this huge market, which is, today, the biggest global market. YG: We had a very good opportunity in ’99 when the Internet arrived in Europe. We saw the opportunity to take advantage of it. At the time we had four brothers working on the company – Christian was in accounting, Michel was taking care of the studios, and Gérard was working with all the project managers. So we said, "Okay, with the Internet we should probably leave one person in Ubisoft on full-time, and have Gérard and Michel create Internet companies." At the end of ’99 Gérard started Gameloft. That was the company that was supposed to do free-to-play games. The market was there, but it was very difficult to monetize. So it was in a way a bit too early. In parallel, Michel started a company that made games for phones. Ubisoft sold the rights for its games [to these companies]. By doing that, the share price of Ubisoft multiplied by five. In March 2000 we said, “Okay, the value is high, we should make an increase in capital.” So we raised 170 million Euros, and quickly after bought Red Storm. AC: Tom Clancy allowed us to push ourselves into the U.S. market because it was a big U.S. brand. It definitely opened gates a lot wider. Yves said if we can do something with this franchise, it has so much potential. And for us at that moment, it was a lot of money based on our revenue. So it was a big bet. But it was a bet worth taking because suddenly we were being recognized as a company that was not only European centric. Serge Hascoet: At that time we were very action-adventure oriented. We had a racing game called Pod and some Formula One, but we were not that good in other fields. Red Storm was a very good opportunity to change that. We liked a lot of stuff there; they had maybe the best animation system at the time, and it evoked a very strong feeling of being on a tactical team. The gameplay was great. So we thought it would be a great match to work with them to bring what we knew about console games with their knowledge of Tom Clancy, war games, PC, and online. Working on a shooter was a totally new experience for us. Some people think it’s easier to be first person instead of third person. In third-person perspective you have to take care of the camera. But with first-person games you have to make it very responsive, very accurate, and very precise. It takes a completely different set of skills. AC: In 2001 when the original Xbox came, nobody wanted to develop for it. Yves decided that it was important, because the technology was there. It was better than the previous console, and he wanted to bet on this one. With Ghost Recon, we decided to embrace Xbox Live. We were the only one with Halo to be on Xbox Live in a big way. YG: What we have seen in the past in the industry is very often the innovations come first on PC, and we can bring them to consoles after and make them easier to access. Like voice on console multiplayer – it took time to come, but it really became strong when you could speak because you had no keyboard on the console. A big part of the multiplayer experience was chatting at the same time. It’s funny because until the end, most of the people were not convinced this would be the best multiplayer experience. Everybody believed Epic, who had Unreal Tournament, would do a lot better. But because of Red Storm’s experience managing customers, managing latency, and managing servers, they came with a game and an experience that was actually very good and better than most of the other games. In successive years, a young Ubisoft Montreal studio collaborated with Red Storm to create Ghost Recon and Rainbow Six 3, two titles that took advantage of console connectivity to deliver destination multiplayer experiences that consistently ranked near the top of the charts with Halo 2. Moving from the Xbox, GameCube, and PlayStation 2 to the next-gen consoles, sales kept going strong with Ghost Recon Advanced Warfighter and Rainbow Six Vegas. To date the Rainbow Six and Ghost Recon franchises have sold 23 million and 18 million units, respectively. While Ubisoft Montreal worked diligently on these shooters, a small in-house research team was developing a wildly different take on the Tom Clancy universe. Serge Hascoet: The game started in Paris – it was an RTS, and finally we decided together it was not good. Two of the developers went to New York when we started a studio there, and the game went another direction – an action adventure game on a floating island. It was in development for one or two years and nothing was great except some graphics and animation. At the same time New York was too expensive so we asked people to go to Montreal – this was at the same time we bought Red Storm. We had a meeting with Yves and said, “Okay, this game has some issues, what should we do?" We asked the team to work on a spy game for consoles. Some great guys joined the team like Antoine Dodens, who was a programmer, and he strongly believed that it was possible to do the light and shadow system. Everyone else was against it in the company, but he was right. 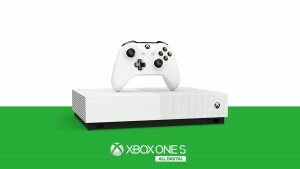 Then we went to Microsoft and we said, “Look at what we’re doing for you.” We did a survey where we asked consumers, “Would you buy a machine to get this game?” and, “What would you think if you had a Metal Gear-type game on the Xbox?” It showed that game would sell machines like hotcakes. Microsoft has a good marketing team, and they realized quickly that this game could help the console. Then they helped us optimize it on the machine. Cecile Cornet: I was doing communications at the time, and a few months before Splinter Cell came out Yves told me, “Prepare yourself, because it’s going to be big for us.” And it was. I was surprised how Yves had anticipated the success. Splinter Cell was an instant hit, winning a Game Developers Choice Award for excellence in writing and Interactive Achievement Awards for best console game and outstanding achievement in gameplay engineering. Sequels Pandora Tomorrow, Chaos Theory, Double Agent, and Conviction were critically acclaimed as well. 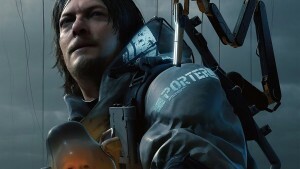 To date the franchise has sold over 20 million units. A year after Ubisoft acquired Red Storm Entertainment, the publisher absorbed the entertainment division of The Learning Company, which held licenses for several formerly valuable brands like Myst, Chessmaster, and Prince of Persia. Yves Guillemot: [The acquisition] gave us brands that we could put in Montreal so those guys wouldn’t have to create a new brand each time they made a game. These brands that already existed could be strong. For Prince of Persia, it was after Prince of Persia 3D – I don’t know if you remember Prince of Persia 3D, but it was not as good as the two first ones. Alain Corre: The last one was done by The Learning Company. It was really bad, and we knew it because we were distributing their games. So we said, “This one, I think, is buried for a while.” The gold in The Learning Company at that time was Myst, so we moved forward with Myst III: Exile and it did extremely well. But at one point, the Montreal studio decided Prince of Persia was a good brand and it could be revived. We needed to get back to what Prince of Persia is from a gamer’s perspective – the animation, the level design, and the story. We all knew the first Prince of Persia was a one-man project, so we invited Jordan Mechner to the studio early in the process. He was working on scripts for movies and documentaries at the time. Serge Hascoet: We sat down with Jordan, and we promised to give him a great team to reboot Prince of Persia because the brand wasn’t doing well. We had a great team – Yannis Mallat, Patrice Désilets, and nearly 20 great people working with him in the beginning. So many great ideas coming from different people. YM: Jordan was very responsive to our approach right away, but then it took him a long time for him to fully embark on the game. We were already done with pre-production, the character design, and the main story, but we were struggling with the story at the time. We wanted to go a level deeper into how the gameplay is tied to the story and vice versa. Around then I urged him to come on board full time. SH: I had some fights with the team. I am very input driven – I like the game to react as soon as you press the button. But Prince of Persia: Sands of Time was animation driven. I spent a night with Yannis just speaking about that. It was nearly the only discussion we had during the course of its creation – and I lost [laughs]. 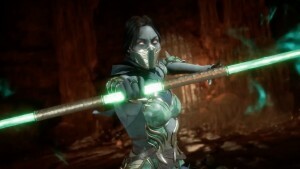 YM: It took us time to put the animations into the real-time engine, but first we had to produce animations as mo-caps of what the gameplay would be like. But until you can play it, you can’t say if the decision is right or not. I think we convinced him when we were able to build some kind of rhythm into mastering the animation system. He was right – platformers are rhythm driven, and when you manage to get the game playing well then it’s quite enjoyable. The challenge was to prove to him that the animation system could be the maestro of that rhythm. Maybe four or five weeks before E3, I got a phone call from Sony Computer Entertainment telling me that they absolutely wanted Prince of Persia in the Sony booth. I managed to contain my enthusiasm, saying, “That’s great. Thank you very much,” but as soon as I hung up the phone I literally ran into the production floor in the middle of the team and screamed like a madman. I told the team, “We’re going to be in the Sony booth and we’re going to have five pods!” At the time it was huge because the game was still under the radar. That was a very intense moment that I’ll always remember. 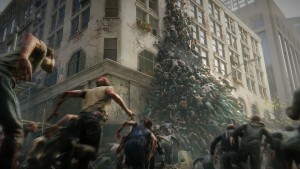 YM: We prepared our E3 demo very well. We put everything we had into the seven maps that we had for E3 candidates. We went to E3, which was great, but when we went back to the office, I gathered the whole team and we played all of the maps in the game except the E3 maps. Suddenly E3 and all of the celebrations were forgotten. We were just down because of course they were in a disastrous state. We ended up removing a good portion of the game that should have been the belly of the game. So I sat down with Patrice [Désilets, creative director], Jordan, and the team and said, “We just had a great E3 and people are expecting this game and we can’t do it, so let’s just focus on what’s really important. "It was a very intense summer, but the engine was stable, and the main character behavior was complete, so it was just a question of rolling out the maps. But maybe a month before submitting the candidate, a tester found a very nasty pitfall in the game. If you remember, there was no loading in the game. It was the very first game to offer a seamless experience with no loading between maps. For that to happen we had dynamic loading, which is possible when you unload previous parts of the maps to load the upcoming parts. We did this in long corridors, and everything was running perfectly until Marianne LeCouffe decided to see what would happen when you would rewind. It was a nightmare – this was replicable everywhere in the game. There was no way to fix this in the code base so we had to redo all the geometry. This was extremely stressful because the marketing campaign had already launched and the [release] dates were already locked. We just busted our asses and shipped the game. AC: We were a bit afraid. But when we saw what they did, we knew they really revived the spirit of Prince of Persia. SH: The wow effect of the game was the animation. There was no competition at that level at that time. The character design was top notch, and the graphics were quite marvelous, too. It was a magical project with magical people. YM: It took time for the sales to pick up. It was a very busy holiday season, but at the end of the day I think Ubisoft is right to invest in quality, because an average game would just have collapsed at that time. If you manage to make a good enough game, then even if the first weeks are hard, the sales will pick up. That happened, and that was probably the best experience of my life. Prince of Persia: Sands of Time solidified Ubisoft Montreal’s status as an elite studio, winning eight Interactive Achievement Awards. Two highly successful sequels followed in the subsequent two years, and the series has sold over 17 million units to date. After finishing Rayman 2, creator Michel Ancel stepped away from the franchise to start a new labor of love, Beyond Good & Evil. The artistically ambitious game combined the cinematic storytelling of a Miyazaki film with gameplay that skillfully blended puzzle solving, exploration, and stealth. 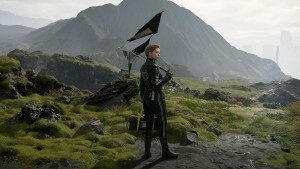 Michel Ancel: I really wanted to make something new – more major – something really different than what we were used to doing. This was very interesting because for this project, Yves Guillemot, the CEO, came to Montpellier and was really behind the project. Unfortunately, it was not so successful, but Yves was really behind us for the whole development, which was incredible because he spent time regularly with us on the project. It became very evident very early because we went to two E3s with this game, and one I remember there was no applause and nobody to talk to [after a demo]. We saw a lot of people, but nobody was talking about the game. We were like, “Maybe something is wrong.” There were so many big titles. People were obsessed with existing franchises and technological games, which is not bad, but for this kind of game with a woman protagonist with a camera where it wasn’t really clear what you were going to do in the game – it was bad. So we realized that the game would need time to be appreciated. Yves Guillemot: Peter Jackson loved it and Michel really showed what he could do to create innovative games. It’s a shame that you can do such an innovative game and that people feel that because there is a pig and it’s not adapted totally to the audience, you don’t sell the volume you expected. Alain Corre: Progressively, people have learned about it and it is considered one of the best games ever done. We released it recently on the Xbox Live in HD and it did extremely well, but it’s too late. The press widely praised Beyond Good & Evil, but in a jam-packed holiday season featuring the likes of Final Fantasy X-2 , Call of Duty, and Ubisoft’s own Prince of Persia, the game failed to gain traction with consumers. In 2008, Ubisoft announced a sequel, but the large project has taken a backseat to Rayman Origins. With development costs rising, in the early 2000s many publishers started looking into consolidating their businesses. Squaresoft merged with Enix in 2003, Sega merged with Sammy in 2004, and in 2007 Electronic Arts lost its spot at the top of the publishing food chain when Vivendi agreed to purchase Activision and formed the new entity Activision Blizzard. Ubisoft was forced into the merger discussions in late 2004 when Electronic Arts announced that it had purchased 20 percent of Ubisoft’s shares unbeknownst to the company’s executives. This was the largest block of shares outside of the Guillemot family, giving the company adequate leverage to wage a proxy battle and shape Ubisoft’s future direction. Yves Guillemot: One guy from EA called me on a Sunday afternoon, saying “We just bought 20 percent of your company, so we just wanted to tell you that because it is going to be public tomorrow.” At that time EA was trying to buy Activision, and they were close to a deal. They had discussions on the last bits and they called Bobby to say, “We bought 20 percent of Ubisoft.” What I heard was that somebody from the Wall Street Journal heard about that soon after. So EA had to announce because the guys at Activision were upset, saying, “What do you want? Do you want to buy us or what?” They called me and said, “Okay, we bought 20 percent.” That was a big shock for us because at the same time they didn’t know what they would do with it. We asked what they wanted to do, and they said, “We don’t know yet.” So we had discussions with managers and my brothers and different people involved and so we decided to reject the potential offer. Alain Corre: Sunday at 9:30 Yves calls. Really? Sunday at 9:30 is not when Yves normally calls, so I remember it very well. I was at home upstairs in my office, and I said, “Wow. That means that we’re succeeding.” It was a big shock for us, obviously, and it was very bizarre because we didn’t know what would happen. YG: At that time EA had the reputation of being very business oriented, not caring too much about creative, and so we said, maybe those guys can come with an impressive amount of money, but it would never work with the way they do with their business. Its culture would not fit. They changed afterward. They are becoming better with creators and so on. But at that time they really had a mentality that was very different than ours. Christine Burgess-Quémard: On one hand it was very flattering because, obviously, a company wanting to get into your capital means that you’re doing well. And on the other hand, we’ve always been extremely proud of our independence and we’ve always fought fiercely for our independence. And we were determined to keep on fighting. AC: It was so shocking – a cold shower. Very, very quickly all the employees were vocal about that and said that they didn’t want to lose the Ubisoft culture. They didn’t want to lose their Ubisoft history and that dynamism that went along with it. Serge Hascoet: It’s not like buying a factory; it’s people – creative people. When we broke the news the first five minutes before our meeting [people were saying] “We are not the same as EA. If they come, I will leave,” et cetera. YG: We looked at everything we could to do to try to show the potential resistance. So we went to see anybody we could see to help, so I just had a meeting with one [government] minister in France and it helped a lot. It really shook the company a lot, and so we became very focused on making no mistakes to make sure that they couldn’t find a way to, you know, to get in. It changed the way we were conducting the business to make sure that everything would be profitable for sure and we took fewer risks. It stopped us from buying companies; it didn’t help us to expand the way we wanted at that time. CBQ: There was no real difference to the everyday life at all. It was the initial shock, and then the months went by, and then the years. AC: It pushed us into the swimming pool. We had to swim by ourselves to a certain extent and perform. And we were not thinking about them. They were there, but we were doing our thing, because we had our road map. Do better and perform better and create better games and have more consumers. That has always been our motto, even during that time. What we put in place helped us grow into the top three [publishers], increasing our market share to be close to 10 percent now. After six years of owning the stock, EA quietly sold its shares in 2010, freeing Ubisoft from the threat of hostile takeover. Moving into the next-generation consoles, Ubisoft was planning on leveraging the new technology to deliver another Prince of Persia sequel. Instead, an assassin was born. Serge Hascoet: Before the new consoles were announced, we started working on a new engine. It was originally for Prince of Persia, but at one point we saw the potential to create a new IP. Yannis Mallat: As it probably is with any company, when you’re coming off a successful initiative, it gives you the confidence to try something new. That’s how we managed to convince Christine and Yves. Serge was already convinced because we were talking regularly. SH: We had some influence from a book I was reading called Alamut. Patrice Désilets and Yannis loved the book too, and Patrice had some sci-fi concepts he wanted to integrate as well. It was a merger of great ideas. YM: We tried to take a snapshot of what the game would eventually become through a small pre-rendered movie that showcased the gameplay, the setting, and the character. We ended up with an assassin in a Third Crusade environment climbing a wall and performing stealth assassinations behind guards. Then we added a fight sequence, and had him leaving the city on a horse with a huge open world landscape before him. That was it – everyone was sold. We had no tech at the time but we knew what we were [aiming] for. YM: We worked with historians and Middle Eastern specialists when doing all the research. Patrice, writer Corey May, producer Simon Tremblay, and art director Raphaël Lacoste were thrilled at the prospect of visiting something that actually mattered in terms of shaping today’s world. It also happened in a very interesting environment, visually speaking. So it was easy for the team to get absorbed in the work up to the point where we were actually visited by the Aga Kahn movement. The Aga Kahn is the descendant of the prophet Mohammed and of the Ismailis – the very first assassins. That was quite a scary moment actually. They came to the studio, and they wanted to make sure they were being portrayed in the correct way. But the research was the easy part. Where we had our heads hitting the wall was trying to land all those beautiful fantasies into a working engine. That was not fun. YG: From the beginning it was open world, with all the problems that come with an open world. It took a long time for us to learn how to do it, but because we had the quality graphics and animations it quickly became a project where we chose to put more resources, more energy, and time. It took four years to do. YM: This game was only created because the team loved each other. Otherwise it would have collapsed. The reason this game was possible was because those guys had already gone to war together [with Prince of Persia]. There was a mutual respect between, for example, the lead engineer and the lead level designer that makes up for the fact that both guys didn’t always have the answer for the other’s question. In any other team, this would have turned into chaos. But because it was that team, it worked. AC: When I first saw Assassin’s Creed, I thought, “We did it again. After Prince of Persia and Splinter Cell, that’s another jewel.” We were very lucky that we came at the moment when maybe there were not that many new franchises. We profited by filling that empty space. YM: Since Splinter Cell, Assassin’s Creed was the first game to really rally everyone at Ubisoft from marketing and PR to production and editorial – it was a rallying event for the company and that felt good. Everyone was behind it and moving in the same direction. AC: Some journalists were not impressed about the quality of the game – they were saying that sometimes it moved slowly and so on. 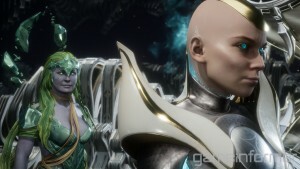 But I think the spirit behind it and the gameplay was so unique, so fresh, that a lot of consumers loved it. The word of mouth spread, and I think it gained some new categories of people that were not playing before. YM: A lot of people love it, but a lot of people hated it, which gave us a very precise road map in terms of what to do next. The fact that the game was generating so much noise – positive or negative – was a tremendous help for us. The feedback was this extra core team member always with us in every meeting reminding us what the game was lacking, and how the game would be greater with this and that. It was helpful. Two years later, Ubisoft Montreal released Assassin’s Creed II, a sequel that corrected many of the shortcomings the public found with the first title and also made the bold move of shelving original protagonist Altaïr in favor of Desmond's Italian ancestor Ezio. YM: The introduction of Ezio was a hot topic for quite some time. It’s the kind of topic that you have to compartmentalize to create an argument. When you decide to just talk about that point by removing it from the whole, then of course we can argue. But when you look at the whole series, then it’s not an issue. When some folks got their hands on the new playable build with Venice and the new setting, then it was okay that Altaïr was just part of the brand and not the icon. After Assassin’s Creed II, Ubisoft Montreal lost one of the key contributors to the franchise when creative director Patrice Désilets left the studio. SH: I made a mistake of not being as close to him as I should have been at this time. Maybe he had something to speak about, but now it’s all water under the bridge. I’m sad he left, but it’s life. You know, Spielberg and Lucas don’t work that much together anymore, and it’s part of life. I think it was time for him to go somewhere else to see if the grass is greener. YM: Patrice’s departure was a surprise. We’re all sad, but it helped us test the fact that we believe in our people to take over new challenges. We managed to prove that the strength of the franchise and the team does not rely on one individual, as good as he could be. In just four years since its release, Assassin’s Creed has become the most popular franchise in Ubisoft history, racking up over 30 million units sold. 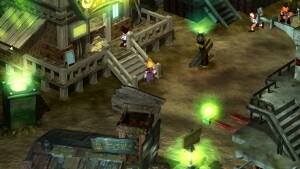 Even after Désilets’ departure, the series has continued to court success with last year’s Brotherhood and the promising 2011 entry Revelations. In 25 years, Ubisoft has grown from a scrappy regional distributor to the third biggest video game publisher, with 26 studios worldwide. But with the emerging free-to-play, mobile gaming, social gaming, and cloud distribution markets challenging the traditional triple-A game publishing structure, the industry landscape will look quite different in the next 25 years. Always willing to explore new possibilities, Ubisoft’s leadership group feels good about its future prospects. One thing that won’t change as the industry grows is Ubisoft’s dedication to its core franchises. Cecile Cornet: It’s interesting. The industry is moving – we need to have both pretty big teams on our high production titles because it takes a lot of people to do them, and we also need smaller, agile teams on the new platforms and online. Those are the discussions we have on a daily basis. Xavier Poix: Ubisoft is very flexible – I think it’s one of our strengths. We can switch directions very fast – you’ve seen that in the past. It’s one of the reasons we always move quickly to launch games on new consoles. We can expand in the casual market once we look internally and find the talent to do it and add some quality to the market. Now our challenge is to focus more on the online and to stay on this roll of very high-end, demanding games that we’re good at with Assassin’s and Ghost Recon. I think there will be some huge surprises as well with our other brands. Michel Ancel: I think the Ubisoft culture reflects the people who run the company. The fact that they trust so much in people is something that is still there. It could appear naïve, sometimes, because so many people believe you have to master more, control more, to be more militaristic. But they still understand that something interesting could come from not having full control. You look at Just Dance for example, it’s not something that has been done with a special target and a special organization for success. They did it because it was fun to do it. They really didn’t expect all the success. Alain Corre: Our goal is to be bigger than the number three publisher, but I think that you don’t need that many huge games to reach that point. If you consider Activision, for example, they are working on two legs – World of Warcraft and Call of Duty. Today we have an Assassin’s Creed franchise, which we have at a certain level. Now if we can manage to go on creating products innovative enough that can seduce the consumers that today we know are huge numbers, then everything is possible. 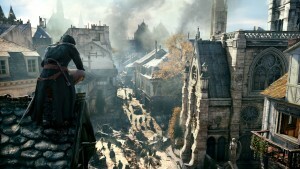 The Assassin's franchise today is at 7, 8 million and Call of Duty is 20, 25 million, so the gap between the two is huge. It’s three times. They didn’t come to that level instantly, but it shows that it’s possible. Christine Burgess-Quémard: We’ve always invested heavily into our franchises, so we need to keep looking at all these high-end games because I strongly believe that there are still going to be some fans for those games. Making high-end games is still something we know how to do. We also made the move into casual games quite a few years ago, and now we’re obviously looking at all the free-to-play games and online games, Facebook games and so on. These are completely new areas with different types of games, so these last couple of years we’ve really learned a lot. What’s very new to us is that we used to address mainly males between 10- and 45-years old, but now we’ve learned, with the casual market, there are also some girls out there waiting to play video games. And then we’re learning that there’s also female 20-45 year olds who also like playing on Facebook. So we’re adapting. Yves Guillemot: It’s really part of the life of the company to learn as much from your mistakes as from your successes. It’s because we have mistakes that we can continue to perform. In the last few years we saw that we have to focus more on less products because we were coming to the end of the console cycle. The level of quality is increasing quickly so we changed the way we were doing things so that we could come faster. You know, Assassins Creed is done by four or five studios today, We had to change the organization so we could bring enough energy to each of the games so we could increase speed of release without lowering the experience. When you come to the problem of being connected or not connected to an experience, we really learned a lot in asking customers to be connected. What we discovered is how much more we could give them. Yes, we were not very fast at changing our approach when some customers complained, but we discovered that if all the customers are connected, you can totally change your vision of the creation of the game. Now we are working in lots of new ways to bring a lot more possibilities to gamers on the multiplayer side, but also on the single player side. You don’t want to force people to do what they don’t want to do, but you want to use the capacity that you have in being connected and so playing together and communicating while you play and do things together. I’m a big fan of meta games and the power of the group to achieve things and to have big rewards, not only to three or four for five, but millions of people achieving something together. I think we are in front of a revolution there.